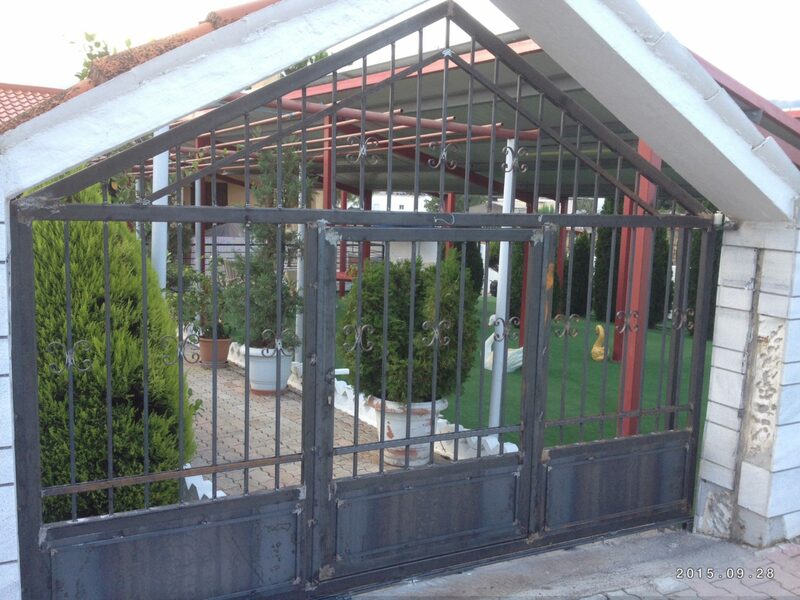 We’ve had another great case study sent across to us from a customer in Greece for a great metal protection solution. The customer had a new metal gate (and a pretty impressive one at that) and wanted to give it the best corrosion protection so it would continue to be looking at its best in years to come. 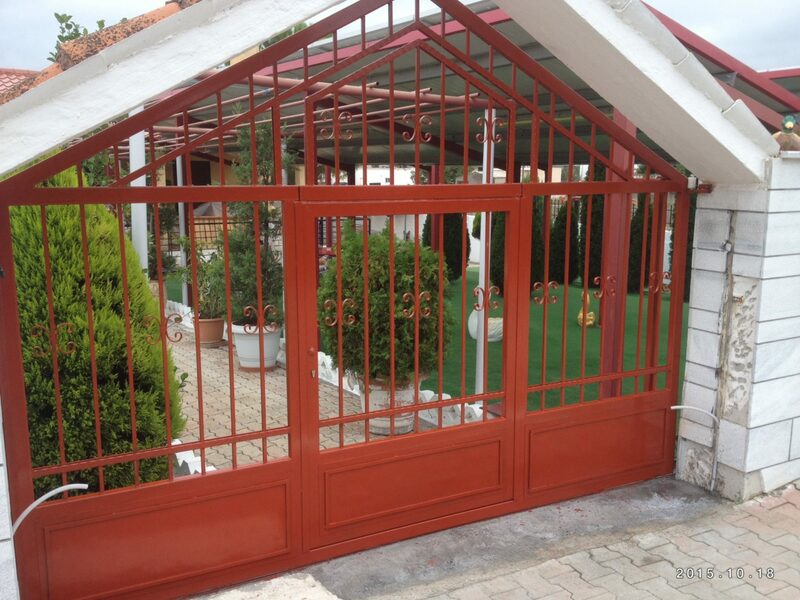 They wanted to use a high quality primer with anti-corrosion protection and then a decorative finish to produce a statement entrance way and protect the new metal gates. It was recommended that CIP (Corrosion Inhibiting Primer) be used initially followed by a Greek anti-rust paint with 20% Owatrol Oil added for additional rust protection. 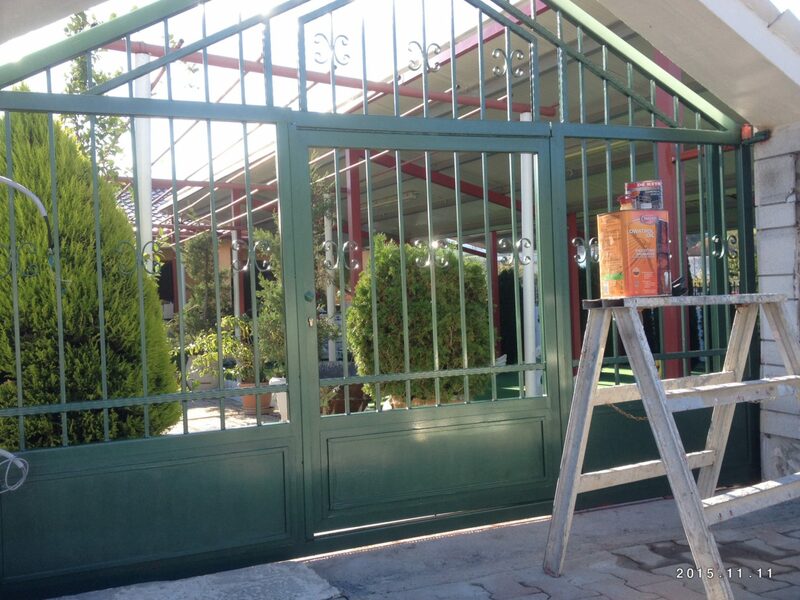 As the metal gate was new and clean, no surface preparation was needed and the customer was able to go straight ahead and apply the first coat of CIP. Corrosion Inhibiting Primer is an anti-corrosion primer which can be over coated in both single and 2-pack paints. It’s perfect for use in aggressive climatic conditions and provides exemplary protection against rust. 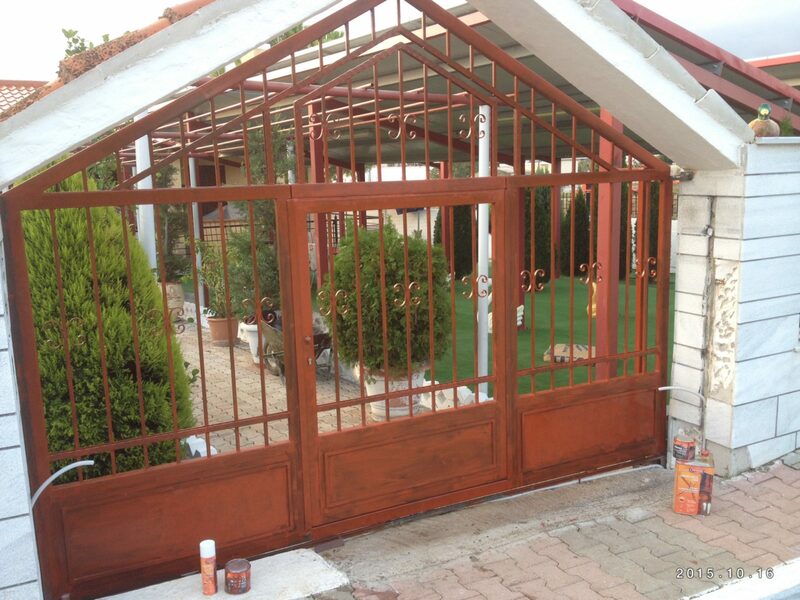 As these gates would be subject to aggressive climatic conditions it was recommended that a second CIP coat be applied before the finish – generally though if the surface is new and clean then one coat would be sufficient (see the directions for use for specific guidance as this depends on your surface). You need to wait 24 hours in between coats for the CIP to fully dry. 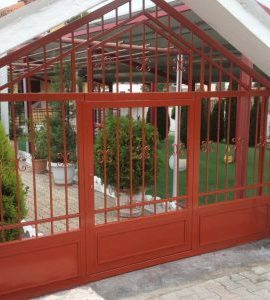 As this project was completed in Greece, the finish used is not what would be recommended in this country. We would recommend using Owatrol Deco gloss finish as a decorative finish with anti corrosive properties inherent in the paint. It comes in 13 different colors and gives great protection against corrosion with a high gloss, professional finish. In this case though, a Greek anti-rust paint was used but it was mixed with 20% Owatrol Oil to give additional rust protection. You can do this with US-based anti-rust paints too if you’re wanting to use a different manufacturer – although obviously if you use Owatrol Deco you don’t need to add any Owatrol Oil! Protecting your metal structures straight away when they’re new is a really positive plan as it’s much easier than having to deal with preparing and protecting surfaces which have already rusting and there’s little or no preparation needed. If you have a metal protection project that you’d be happy for us to share for others’ inspiration then get in touch!